Can I give this 6 stars?!! 1. do you love books? 2. were you a child? I adored this book!! 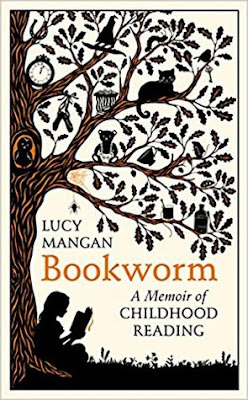 Being a similar age to the author I found I was immediately taken back to my childhood and discovered books in many of the same ways that she did, and the passion she has for books and reading comes across clearly in the way she writes this book! There's great fondness for the books and a great humour too! It was so wonderful to look back at so many childhood memories via the books we read, and I have to say that some of the titles included were new ones to me so I'm a little eager to go and check them out although I'm wondering if they'll still have the same appeal to me now - I'm sure they will! This book shows you the joy of discovering new worlds, new characters and the endless possibilities that opening a book as a child brings and how important the role of books can be in educating and informing, and bringing different ideas to young minds and I think we all still feel that excitement now when we start reading a new book. I also loved all the 80's mentions, the excitement of visiting the library and the role that parents play in bringing books into your life when you're a child. It was just so delightful to go back and relive those times of discovering the worlds of Narnia, Enid Blyton, Judy Blume - to name a few - and I will be recommending this to every reader I know! !